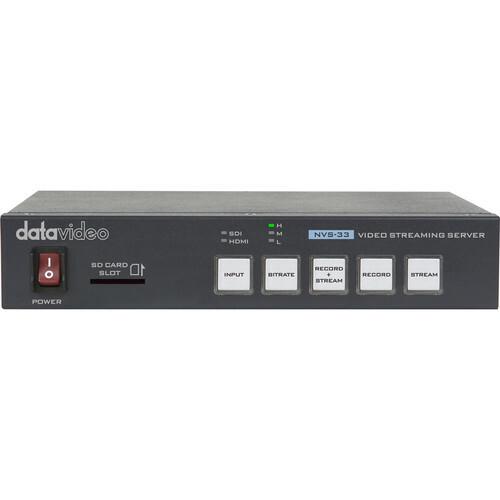 Stream HD or SD video to the web with Datavideo's H.264 Video Streaming Encoder and MP4 Recorder. The NVS-33 encodes incoming video to H.264 in real time and can send it to stream on the web while simultaneously recording to an SD card. The recording feature benefits content creators who want their video to be available on-demand after the live stream is over. The NVS-33 uses a simple web-based user interface (UI) that can be accessed from a standard web browser. The multi-language UI can configure the settings and also upgrade firmware from the web. 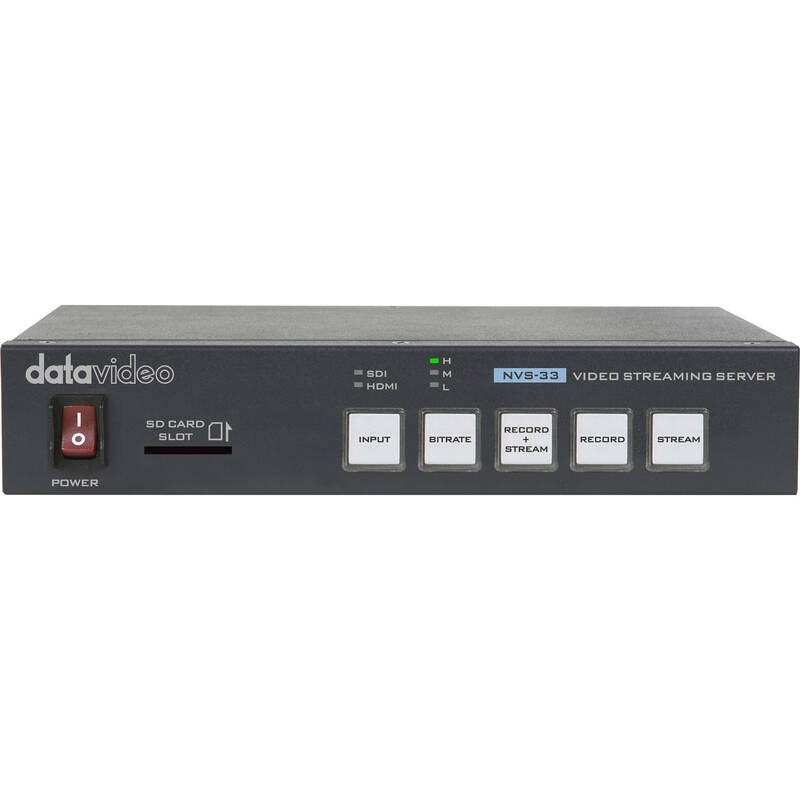 The NVS-33 can accept video with embedded audio from SDI or HDMI sources. Audio can also be input from a dedicated L-R RCA audio input. Scaling and deinterlacing can be accomplished on any video input. Processing is done during the pre-encoding to preserve video quality. The front panel contains the status LEDs, power switch, and an SD card slot, which can record to cards formatted with FAT, exFAT, or NTFS file systems.